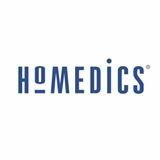 HoMedics Air Compression + Shiatsu Foot Massager with Heat would make an awesome gift this Mother's Day! All mothers should have one of these foot massagers! As a mom of 4 I'm on my feet just about all day and with being an avid runner in my spare time you can bet I have some foot pain. Lately my feet have been aching every night. It tends to kick in as soon as the kids go to bed so I pull out this HoMedics Air Compression + Shiatsu Foot Massager with Heat and I'm in heaven! The air compression is seriously amazing and the heat is absolutely incredible. When my foot massage is over I feel like a million bucks. Not only do my feet not ache anymore but I'm so relaxed and ready for bed. My husband loves it because I no longer ask him to rub my feet and while he does give nice foot massages, they definitely don't compare to this HoMedics foot massager. 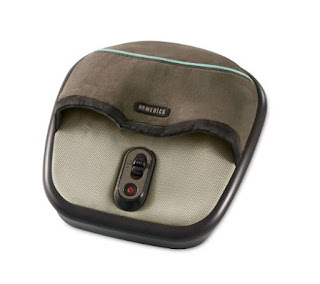 This HoMedics Air Compression + Shiatsu Foot Massager with Heat would make a wonderful gift for Mother's Day!